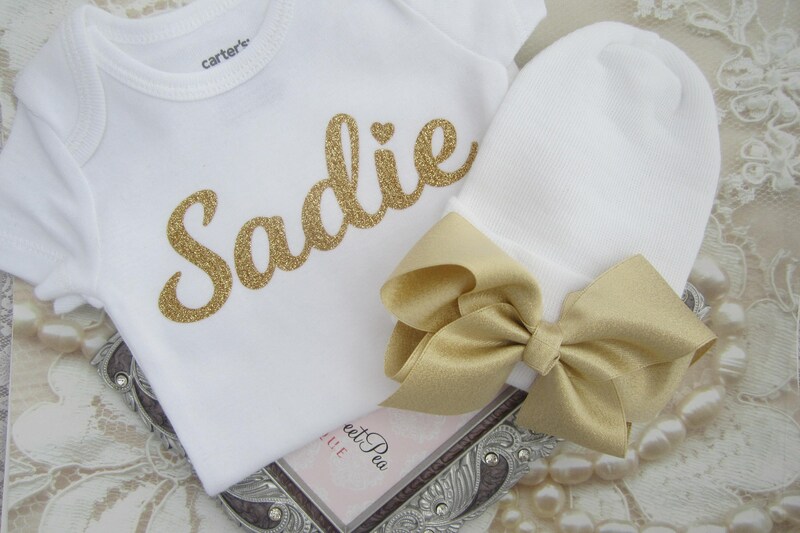 Customize a newborn bodysuit with baby's name AND/OR Matching Hospital Hat, take home outfit, new baby name, photos, by Lil Miss Sweet Pea. Please leave the name in Notes to Seller on Checkout. Make sure it is spelt correctly, we are not responsible for incorrect names and orders are not subject to cancellation or refunds. 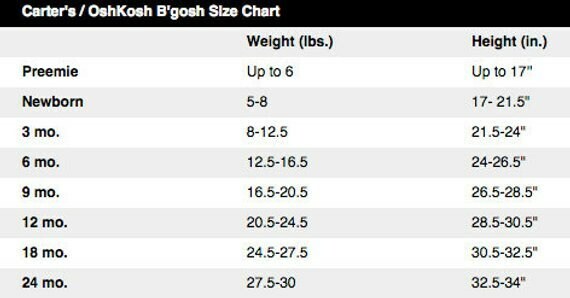 Be sure to choose the correct sizing, see measurement chart. 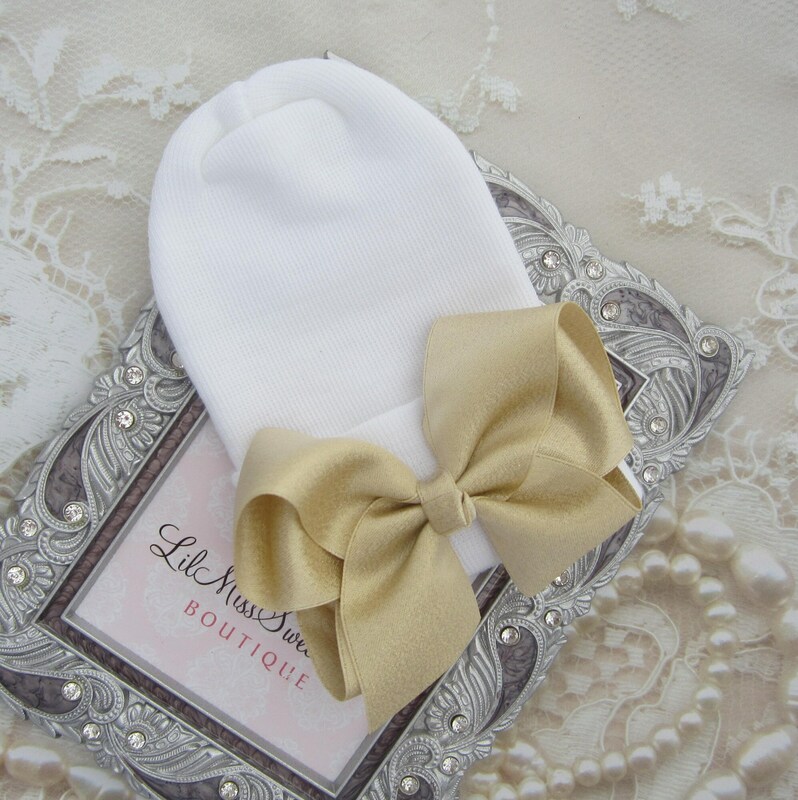 Perfect for a baby shower gift. 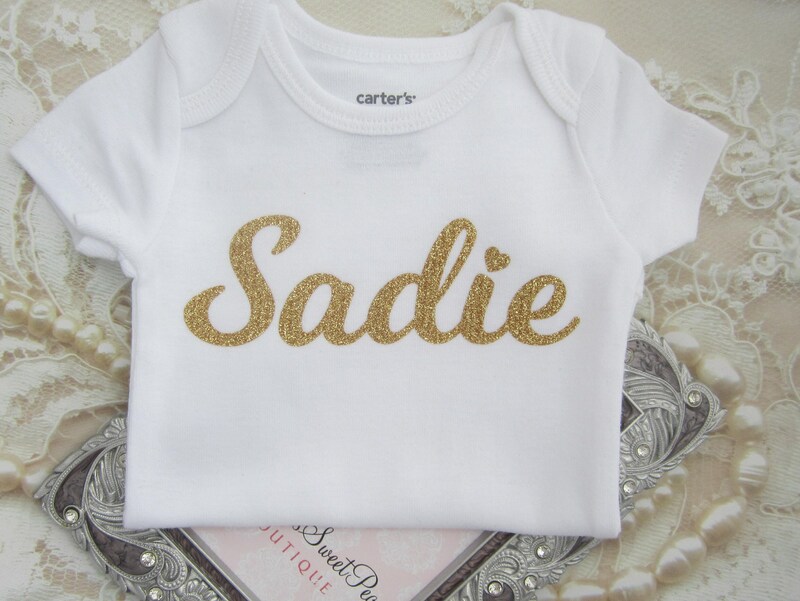 Vinyl letters are added to Carter's brand newborn bodysuits. 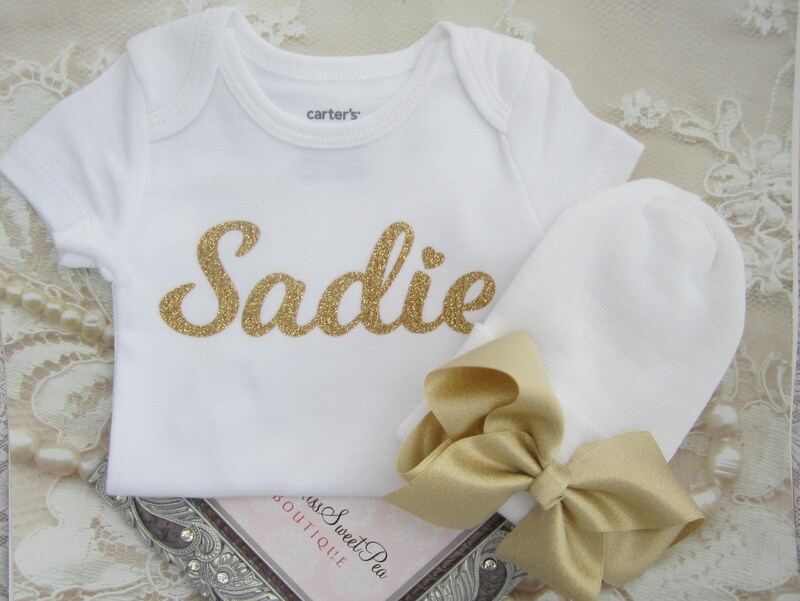 I offer the onesie in 5-8 lb or 8-12.5 lb. Please be careful to choose the size onesie in the sets. 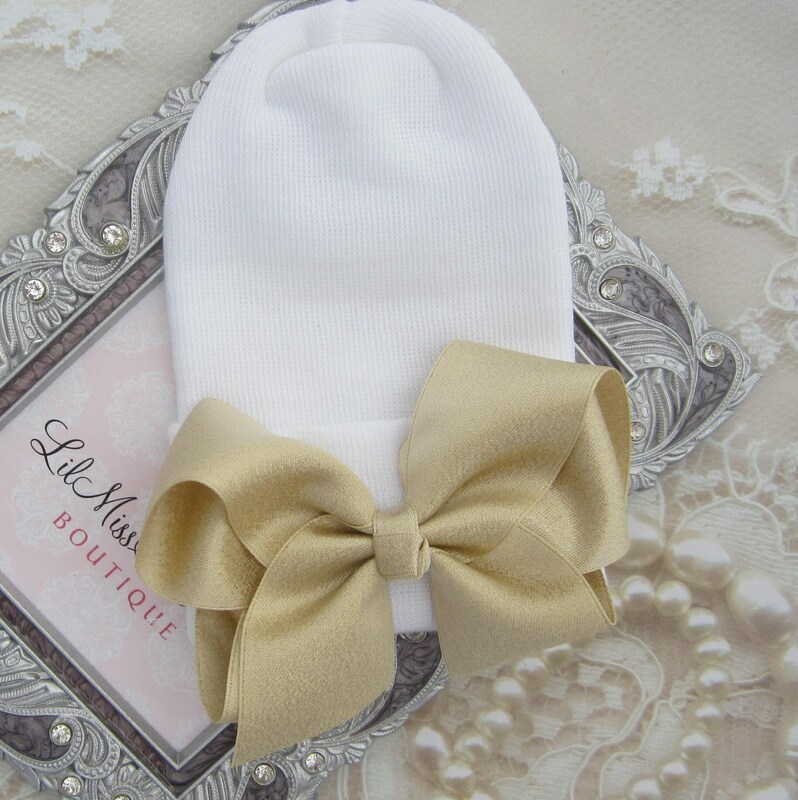 The hat will stretch to fit both size babies. Our hats are hospital grade material, fabric is made in USA, and are latex free, no need to wash prior to wearing.